It’s time for the first musical that I’ve seen in quite a while. I don’t think it’ll ever get old seeing people debate and fire comebacks through song instead of talking about it. It’s just an interesting way to make your comeback you know? It’s definitely not my kind of film and suffers from the usual problems that come with being a musical, but the film gave it a good effort and I suppose that’s what counts. Effie, Deena, and a third girl have been trying to make it big for a long time now. They just haven’t gotten the chance to show that their singing abilities are the real deal. This changes when a slick car dealsman named Curtis tells them that he can get them a gig as Jimmy’s backup singers. Effie is worried that they’ll stay backup forever, but Curtis knows a way to shove Jimmy out of the picture at some point. Soon he gets them their own gig, but decides to slowly phase Effie out. Eventually he phases the third girl out as well and makes it all about Deena. Thing is….will Curtis also phase her out once Deena starts to decline in popularity? She’s going to have to do something and fast! Usually this is where you’d chat with your friends to try and think about what you should do next. The problem is that all of the main characters are too busy keeping secrets from each other and playing the rebound game. There’s a lot to keep up with as Jimmy tries to use the moves on the main characters. 2 of them don’t fall for it, but then Curtis gets together with Effie. After he’s had his fun, Curtis moves on to Deena and while all of the characters know about this merry go round, none of them really care since they all think that they’re the special one. It leads to quite a lot of drama the whole time and so I can’t say that the romance was handled well. It felt really fake on all sides. Lets face it, if someone is cheating to be with you, then they’re also probably cheating on you. It’s an iron clad rule that has been around for generations and it doesn’t just go away in a flash. It was also hard to sympathize with any of the characters when they were betrayed because it was just so expected. They were all a little too easy as well as they basically skipped the dating phase. As a result, none of the characters are all that good. Jimmy was bad from the start as he immediately tried to fool around with the main characters. He ended up getting into drugs and hitting the Game Over moment in life. Curtis may have been a fast talker, but you always knew that about him. It helped the audience not get tricked by his shenanigans and it was just annoying that none of the others could figure it out. He went from being manipulative to totally being a villain by the end. Deena was an all right main character as she stuck up for Effie for a while, but got pretty naive by the end. It turned out to be true that she was cheating with Curtis for a while so that’s certainly not very heroic of her. Curtis even admitted at one point that he had always loved her and not Effie so that should have rang some warning bells since he still stuck around long enough to have a kid. Deena made the right move in the end, but it took her a little too long. Effie was also not so good. She wasn’t exactly blameless in this affair as she didn’t take moving to the back row very well instead of being happy for her friend. It’s also pretty understandable that a replacement would be hired for her during the Vegas New Year’s Celebration since she abruptly vanished and skipped all of the rehearsals. You can see why she was bitter, but surely she can see how the others had to move on. She was causing a bunch of problems. The song recorder that helped the gang was all right I suppose. He was a little slow on the draw as well, but ended up pretty well off. He didn’t agree with how his music was used at times, but he did get the money. Deena’s Mom was pretty fun considering that she didn’t appear much. I wouldn’t have minded her as more of a main character since she seemed to suspect that something was off from the start. This isn’t usually much of a problem outside of some old black and white films, but I had a tough time telling each character apart once in a while. They all kept switching their wigs and then the film would constantly jump into the future by a few months or even years at time. It just made it hard to keep them all straight and that’s why I never even learned the third girl’s name. She technically had a reasonably sized role, but the characters never said it all that much since the focus was on the other two. This is why instead of coordinated costumes where everyone wears the same thing, you should always have something different. There are a lot of songs as you’d expect. The beet for them is usually pretty catchy, but I can’t say that the lyrics were very good. They aren’t exactly something I’d play while at home. I’m not really a big music person to be honest, but when I play music it’s typically extremely epic anime/video game songs. If I play the occasional lyrical song, it’s typically one from those mediums. Instrumental is still the best bet as you get the cool beats without having to worry about the lyrics, but both sides can be good. I think this soundtrack could have been a little better considering that it was a musical, but ironically the fact that it was a musical meant that the music was very mainstream and not quite as epic as it could have been. Look up the Attack on Titan themes and you’ll see what I mean. I also can’t say that I care much for the competitive/professional dancing that usually accompanies the music. If anything it just makes the music feel more objectionable as they’re trying to hook the audience on them rather than the music. It doesn’t feel quite as legitimite which is why I never bought into music videos. The audience certainly ate it up, but that’s also why you’ll attract a specific crowd based on what you sing and how you sing it. 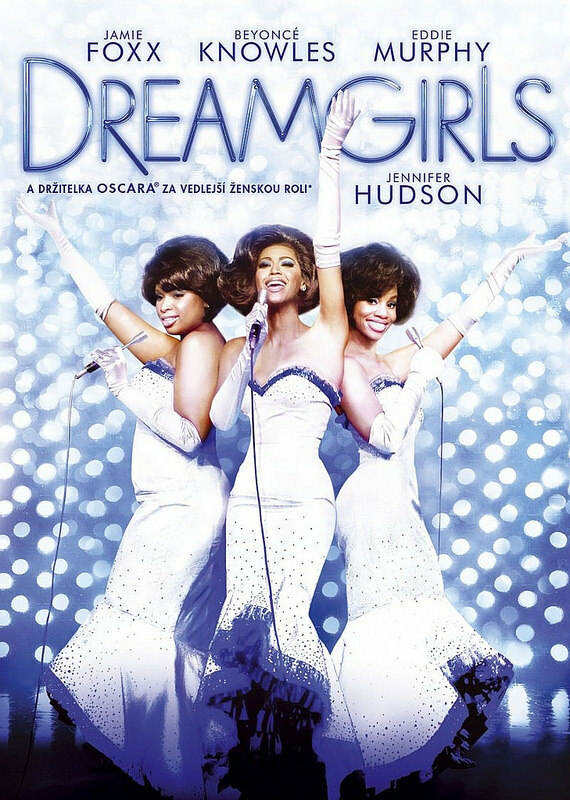 Overall, Dreamgirls may have tried its best to be an intense musical with a lot of drama, but it didn’t work too well for me. Without likable characters or a stronger plot, you just can’t sing your way out of the tough situations. I do like how the characters banter with songs though as it was extended more than in most films and they had whole conversations. It just wasn’t enough to block out all of the drama and rebounds. I can’t really say that I’ve ever loved a live action musical film though so it’s possibly just a really hard genre to succeed in. Hopefully they can pull it off someday. They just need to take some cues from Frozen. Get some better songs, cut out the dances, and build a better plot. If you can get those aspects of the film together, then I think you’ll end up with a winner on your hands. By the way, if you’re wondering who the standout character of the film was, it was certainly the lawyer. I like how he just showed up out of nowhere and took down the main villain. He probably cost a lot of money, but it was well worth it since a lawyer can save you millions! This entry was posted in Live Action Movie Reviews, Live Action Movies, Reviews and tagged Beyonce, Drama, Dreamgirls, Film Review, Jamie Foxx, Movie Review, Music, Musical, Review, Romance by dreager1. Bookmark the permalink.